We recently received great news that two organizations applied for and were awarded grants they found on the Office of Environmental Education and Public Affairs EE Grants page. It's an honor to help great organizations and agencies locate grants that further environmental education and help their communities. Please let us know if you receive a grant you found on our website or email listserv. Kendyll Collins, environmental educator and outreach coordinator for the Bald Head Island Conservancy recently announced they had received Outdoor Nation's Paddle Nation Grant. The Conservancy was one of only 25 projects in the nation to receive the grant and the only recipient in North Carolina. It will fund the Women Paddling Into Science project that will offer kayaking expeditions for month and daughter pairs over a seven month period. 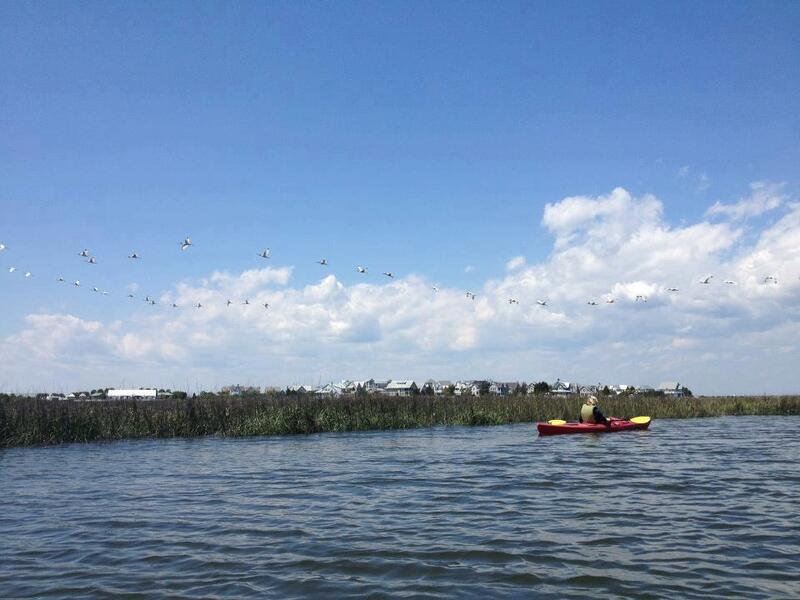 The trips will focus on kayaking skills, estuary ecology and water quality. It will also involve a salt marsh clean-up. Congratulations Kendyll! Kendyll doing some early scouting for their upcoming Women Paddling Into Science Program, funded by a grant they found on the EE Grants page. Leslie Van Hoy, grants director for Johnston Community College, also learned of the National Wildlife Federation's Tree Bank program through our site. The college was able to use this program to continue the long leaf pine restoration at its Howell Woods Environmental Learning Center. This is the second grant JCC has found an applied for from our page. The first, from the Fruit Tree Planting Foundation, allowed the JCC Arboretum to plant a working fruit orchard to provide produce for local food charities. 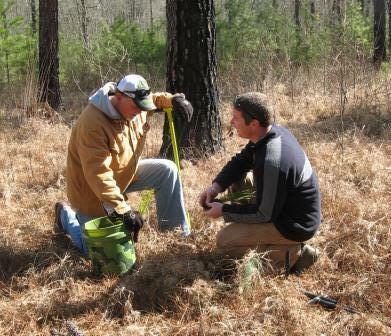 Volunteers plant long leaf pine seedlings at Howell Woods Environmental Learning Center. The trees were provided by the National Wildlife Federations Tree Bank Program that Johnston Community College learned of on the EE Grants page.